After upgrading an existing Windows installation to next version of Windows OS, such as from Windows 7 to Windows 8, Windows 8 to Windows 8.1, Windows 7 to Windows 10, Windows 8.1 to Windows 10 and so on, a Windows.old folder which can be as large as several tens of gigabytes is created and stored on the system drive. Windows.old directory stores all the previous Windows version system files, and will be used should you decide to uninstall and downgrade from new version of Windows to rollback to old Windows version. But if you have decided that stay in new Windows version, and won’t go back to previous version of Windows, it’s safe to delete the Windows.old folder and recover the disk space used. It’s not recommended to delete and remove Windows.old folder through Windows Explorer or File Explorer and Command Prompt due to permission errors. 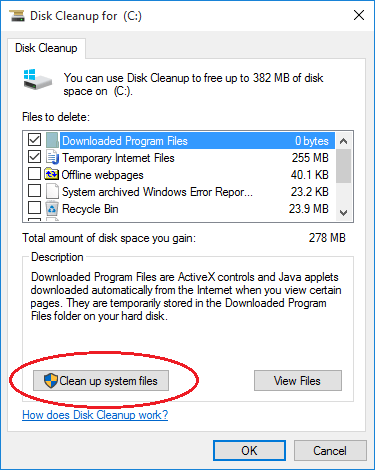 Windows does provide an easy way to clean and delete Windows.old, as shown in this tutorial. 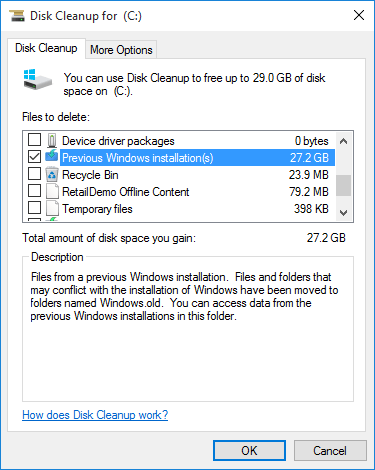 Search and run Disk Cleanup or CleanMgr. After a while, the Disk Cleanup for (Drive Letter:) window is opened. Click or tap on Clean up system files button. 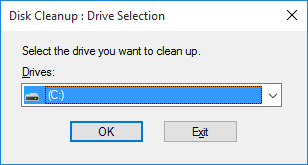 Select the same drive to perform the clean up in the Drive Selection dialog box. After a while, a new Disk Cleanup for (Drive Letter:) window is opened. Select (tick) the Previous Windows Installation(s) from the list, which tells the Disk Cleanup to delete the Windows.old folder data. Select also other options to clean up if you wish, then hit OK.
You may need to repeat the steps above several times to make the cleanup and removal of Windows.old work properly. That’s it. The Windows.old folder is now removed and disk space is recovered. Issue the following command to restart and boot to the Advanced Boot Options Menu. In the Advanced Boot Options Menu, go to Troubleshoot -> Advanced options -> Command Prompt.